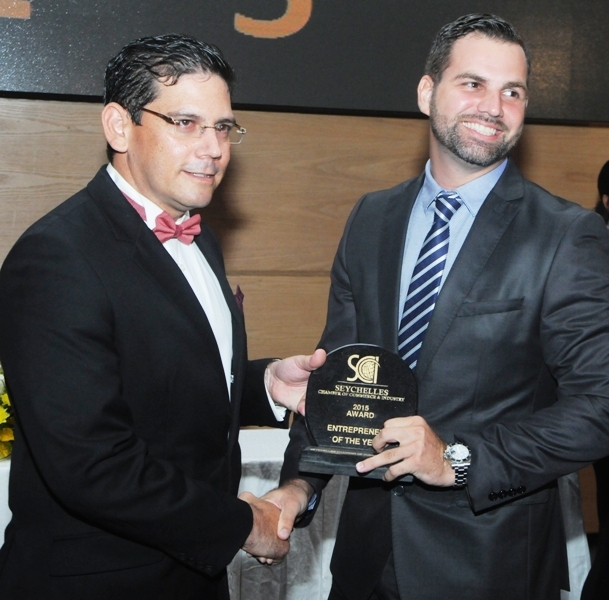 (Seychelles News Agency) - Two years after his father Joseph Albert emerged 'Entrepreneur of the year' in the first annual Business Awards Ceremony, organised by the Seychelles Chamber of Commerce and Industries (SCCI) in 2013, young businessman Gregory Albert has followed suit. Albert won the same award in 2015 during a ceremony held on November 28, 2015. The 31-year-old graduate in Business Administration has been involved in business in Seychelles since 2010 starting off creating his own name, venturing into import-wholesale, printing, car rental among others and is now managing his father's business, the United Concrete Products Seychelles (UCPS) that produces construction materials. SNA caught with Gregory Albert, the General Manager of UCPS, at its head office at Anse Dejeuner, Pointe Larue on the eastern coast of the main Seychelles island of Mahe. In spite of his busy schedule Albert talks about his studies, how he got started in business, his achievements and challenges so far as well as his future plans. SNA: Who is Gregory Albert - start by telling us a little bit about yourself? GA: I was born in Mauritius [neighbouring Indian Ocean island] because my mum is Mauritian but my dad is a Seychellois. After a few weeks only [after my birth] we came back to Seychelles, so I grew up in Seychelles. I started French school then moved to the International school [two of three private schools offering primary and secondary education in Seychelles]. I did my O’ Level [Cambridge O Level] twice, first in French then English to get the best of both worlds. I did my A Level in Seychelles. After that, I spent three years studying in France and one year in England. In Montpellier, France, it was ‘Ecole Superieure de Commerce’ (Sup de Co) and then in England I was in De Montfort University in Leicester. I came back with a dual degree in 2009 and I started straight away with setting up a few businesses of my own, by the time I graduated in 2010. I was awarded the entrepreneur prize from my University out of 800 students so that was a good start up in life. SNA: What was the first business you started? GA: From 2010 to 2013, this is when I came up with ‘Dynamics’ which is an import and wholesale beverage company. From there I moved to a nightclub, Tequila Boom and then a bar. It was a strategic move because they go together, then a printing company called ‘WePrint,’ followed by a car hire, ‘Comet Rent-a-car,’ all that in the span of 3 years. 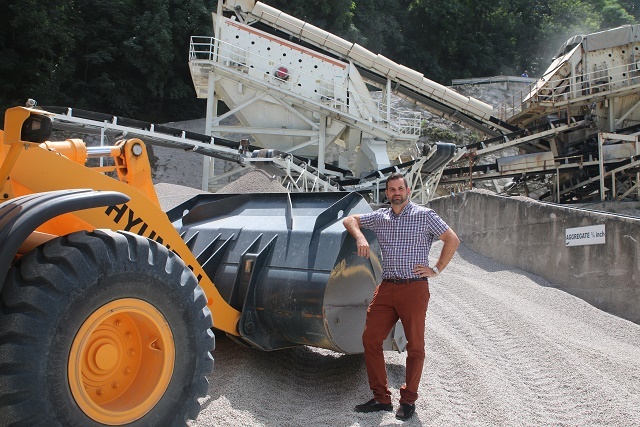 For me, it was a chance to bring myself up to speed with the real life and the experience, at the same time it gave me the baggage needed to be ready to take on UCPS, [United Concrete Products (Seychelles) Ltd formed in 1970 producing construction materials]. I also created a company with another friend and together we brought back the Mini Moke to the Seychelles, which as you know was an iconic car that was part of our history. I think that has touched a lot of people from all age groups and that happened with GN Motors this year. SNA: Currently you are more involved in the UCPS business. Since in Seychelles, there are only two main companies producing construction materials, what is it like keeping up with the local demands? GA: There is a bit of pressure because it’s delicate and competition is tough, at the same time people are very price sensitive. The prices are not moving so we need to try and find efficiency to reduce our cost of production; that is the only way to survive. The margin has been reduced and that is the reason why there is more work today than there was five years ago to keep the company afloat. Part of my strategy together with my father [well-known Seychellois businessman Joe Albert] was to try and diversify UCPS, so this is why we ventured into new departments. We tried a bit of retail… but then we went into piling, that was a huge investment on our part but this is to try and cut back a little bit off other businesses to help and subsidise the crushing part of UCPS. We have a few ways to reduce our cost that would be a relocation of our quarry, because right now we are spread out in 3 different locations, the primary quarry at the end of the airport, transportation to Anse Dejeuner which is the secondary. Part of the material is finished there but the rest needs to be put back into a truck and brought to the third crusher which is at Providence because of a lack of space. So if we had bigger space we could group these into one location. SNA: What are some of the difficulties faced so far being an entrepreneur in Seychelles? GA: Nowadays if you don't keep on trying to expand you actually fall behind because competition is there and everyone is trying to survive, especially in construction; business is getting tougher and tougher. SNA: What are the sacrifices you had to make to get this far in life? 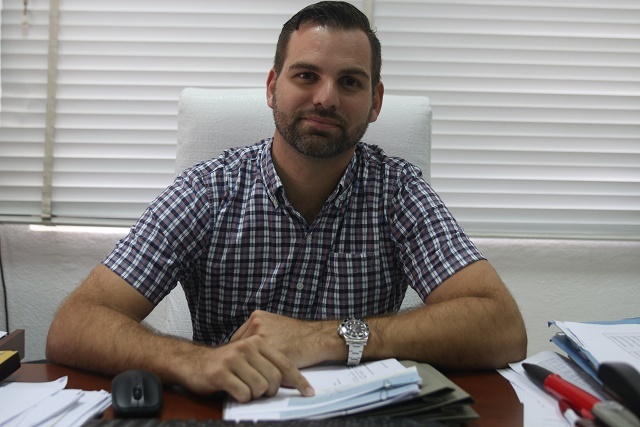 GA: I am the General Manager of UCPS which is a full-time job and to bridge the gap of five years [being away from the company] and get back up to speed with the market over the last two years have been very hectic. I have been working round the clock, putting everything second…I finish work very late at night and by the time I get home I have very little time for a social life, it’s time to go to bed, wake up to another day. I’ve taken very few holidays and these are the types of sacrifices I had to make and at the same time I'm helping my dad with not just UCPS but with the rest of the group. SNA: Some people might say it was easy for you to make it, as your father has been in business for a long time and he got you started. How far would you agree with that? GA: I would say that it might have been easier [in the past] because there were less pressure back then, but the [business] environment has changed. 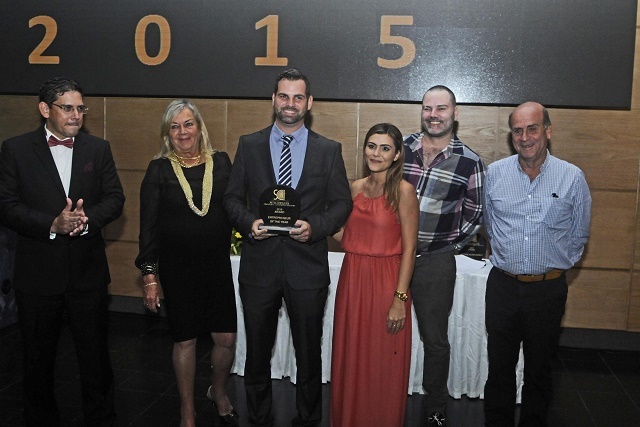 SNA: You won the Best Entrepreneur of the Year award at the annual Business Awards Ceremony held last week. How do you feel after being bestowed with such an award? GA: I am very honoured that out of those who also did quite a bit for the Seychelles, they chose me. I want to accept the award not just for myself but as an encouragement for the other businessmen out there that are taking their first step or are half way there, having to face the pressure that is too much at times, and they are thinking about giving up. I think that this kind of award provides some sort of motivation to the newcomers, to want to do more and exceed in what they are doing. Success might not be straightforward, you have to keep on at it and push into overtime. SNA: In your opinion do you think you deserved to win this award? GA: I think that when you look at my age, 31 this year and when you look at all the scope and variety of businesses that I went into certainly it’s a bigger variety. Some people have excelled but in one particular field whereas for me when you look at the scope of it, it moves from nightclub to construction to motor vehicle, so it creates opportunities at different level for different age groups. I think when they selected me maybe it was because of that diversity of businesses and on the time frame it was done. SNA: Who would you say was behind this success and why? GA: The family has played a big role for various reasons; my mom who has been by my side for my education to make sure that we [me and my brothers] have the best since I was three years old up to graduating at University. My dad is a key example: he was entrepreneur of the year in 2013 and since a very young age he always groomed me to be a businessman. Most of the conversations we have are business related. More recently I have my uncle from Mauritius who started coming this year. He is a new mentor, specialist for UCPS because he was running a similar company in Mauritius and he is now retired and thus has more time on his hand. He is helping me with the technical aspect because my studies were more general business and management. UCPS can be quite technical at times so you can learn on the field but there is nothing better than someone that has a lifetime of wisdom. So with him and my dad, I feel that I already have two great mentors. For the rest of the business it’s just me learning from my own experience; trial and error. There are things that you cannot learn at school and you need to adapt yourself to the environment in the Seychelles. SNA: What are your plans for the future? GA: The plan for the future is to keep UCPS on its feet. It has already been in existence since 1970, so that is 45 years and I would like it to keep on going as one of the leaders in its field [construction] throughout my lifetime. This is my main wish. At the same time I want to help my family to consolidate the group and make it stronger because sometimes for one generation to another there can be new challenges that come up. I have two brothers who are helping and that is good but we need to be on the same wavelength and push forward because this is a legacy that my dad will be leaving for us and we want to make him proud. SNA: With all the business obligation you have, how do you balance it with your family life? GA: When I started off in the beginning before UCPS, especially when I was in the night-time business, I had to go out every weekend to be there physically and that was very tiring. It was fun for the first few months but after that I saw that it wasn't that great. At some point I was running the one running the nightclub on the weekend. That was too much. So what I did was to put respective managers in place and I just looked at the back office. Since the end of 2013, I have been back at UCPS; I kept going out to keep an eye on the business. It is very tiring, I get home very late, by the time I get home and my girlfriend is at home waiting for me but she is very supportive. Since I was young I wanted to give my full devotion to my work. SNA: What does it take to make it doing business in Seychelles? GA: Patience, perseverance for sure and micro-manage because if you delegate too much and you don’t double check everything then you may find yourself falling behind. You have to watch out for your finance. Finance is the key for any business; it lets you know if you are on target, if you have discrepancies in your stock. I also try to push a lot for team spirit because when they will understand and have the same vision you have, your staff will follow you. SNA: What advice do you have for anyone wishing to venture into a new business in Seychelles? GA: First of all I would advise them to be very careful and not to rush into it. They should do a good market study. Sometimes we have a dream and we want to do it at all cost before we even check if the market is there. You not only need to find the right business to do but you have to do it very well so that you keep an edge on the competition. You also need to be able to put your company first...Sacrifice is also something that you need to be willing to make.